WhatsApp fails to satisfy you in terms of privacy features? Not a problem, Download YoWhatsApp apk for Android to get most out of it. WhatsApp is one of the popular application used by people all across the globe. Whenever it comes to instant messaging apps, the majority of users prefer to use WhatsApp. Using the app users can make chats, voice calls, videos calls, accompanied by a transfer of any kind of documents. Since it is number one instant messaging app, and also has become part of everyone’s life users expect lot more from WhatsApp. Unfortunately, it lags behind in giving up what people expect. Taking advantage of this, some awesome developers developing various WhatsApp mod apps. There are lots of mod for WhatsApp available on the internet that offer regular features accompanied by unique feature to deliver what the original WhatsApp app lacks. WhatsApp Plus and GBWhatsApp are two popular WhatsApp mods available on the internet, but there is one more application named as YoWhatsApp or Yowa. YoWhatsapp is a popular WhatsApp mod available for Android devices. This application is based on official WhatsApp. Since it is a modded edition of WhatsApp it not only offer regular features but also provides various pro features. YowhatsApp provides you option to hide read receipt, double tick, and seen messages ticks. There is no need of downloading a third party app to lock the YoWhatsApp as it comes with inbuilt lock feature. You can set pattern password, number password or fingerprint password. You can share media files, videos, and images upto 700 MB which is way more than limit of regular WhatsApp app. The pictures sent from YOWhatsApp are of high quality, but in case of regular WhatsApp app quality of the picture is decreased. It offers a privacy feature using which you got the power to select who can call you on the WhatsApp. In regular WhatsApp app, you can only pin chats of few contacts, but YoWhatsApp gives you the power to pin around 1000 chats. It let you send messages to anyone without saving the number in the contact list. Yowa let you set theme or wallpaper on the homescreen with lots of various options in comparison to WhatsApp regular app. Since YoWhatsApp is a WhatsApp mod apk, it is not available on Google Play store and the only way to grab it for by visiting the official website. 3. Tap on the YoWhatsApp apk file, then tap on the Install button. Make sure to allow all the permission asked by the application during the installation. 4. Launch the app, just like WhatsApp enter your phone number to complete the registration. Once done, you’re ready to use the YoWhatsApp app. 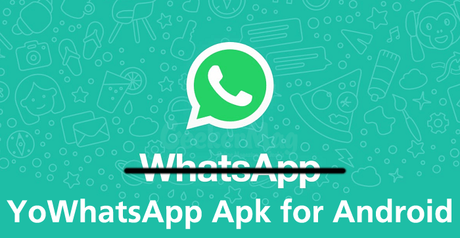 If you really want to go out of the box, then you must give a try to YoWhatsApp Apk. It is one of the best-modded editions of WhatsApp available on the internet. Let me know your thoughts about YoWhatsApp for Android in the comment.